Go on an adventure with a few old friends in Solo: A Star Wars Story. Expand your Star Wars collection with the scum of the dangerous criminal underworld frequented by Han Solo. 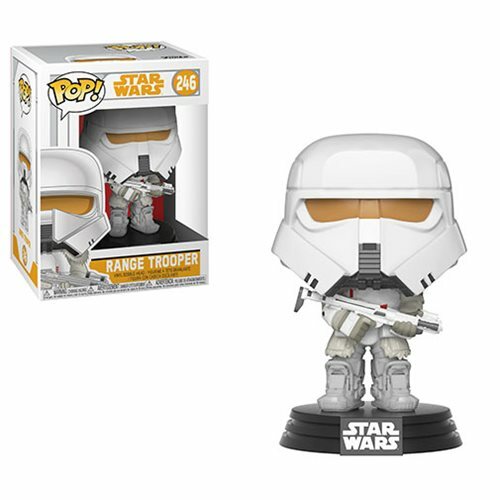 This Star Wars Solo Range Trooper Pop! Vinyl Bobble Head measures approximately 3 3/4-inches tall and comes packaged in a window display box. Ages 3 and up.